and individual & group counseling. for publishing and media projects. "A Visionary Holographic Concept for the world of full-length animation." 2. BEing (Birthing Empowering Imaginative Narrative Gems for the Ageless children of The Golden Age) The New Earth Education for an Emerging New World Paradigm - 39 Vignettes introducing concepts now shaping collective consciousness. After each offering, a Gem Journal presents questions and creative projects for parents, children, and educators. 3. FROM EARTHGATE TO HEARTGATE Everything we see around us was Created by a Seed of a thought, an idea, or a Dream that someone Created from withIN. Sound Healing that weaves the inner worlds to bring dissonance into harmony. A travelogue guiding one into inner travel; first the heart mind and body as realms leading to a second journey that offers a map to traveling the inner worlds and†expanding one's consciousness. A presenter in "The Prophecy, New Science and the Days to Come" Conference: July, 2008 - Mt. Shasta, CA. with Performance excerpts from "A Seminar in Concert for Inner Peace." Producer, Writer, Performer for Dolphins, DVD. The Peaceful Presence of Dolphins at Play Communing in Harmony, Peace and Joy. Produced by Dorothea Joyce. Videography by Lisa Denning. Instrumental and vocal toning musical underscore: written and performed by Dorothea Joyce. A Seminar in Concert to Celebrate The Rebirth of the Earth and The New Human Spirit produced, written, composed and performed by Dorothea Joyce. Earth Dance: Videographers: Akira Wing & John Cummings Sound: Sahadev of Blue Skies Unlimited The Flying Lotus Performance Center, Mt. Shasta, CA. Dolphins in the Womb of Mother Earth Videographer: Lisa Denning, Kona, HI. Creator, Writer, Performer as a Musical Ambassador of Good Will promoting world peace through inner peace with the integration of music, dance, visual arts, computer graphic design and video. - Video Monologues from the DVD are excerpts from Dorothea's new book in progress called, "BEing In Creation." - Power Through the Heart is a promotional vehicle developed to market the video-vision to organizations to present as part of their event, and to market songs to established recording artists. Dorothea Joyce is the Founder and Executive Director of A. Muse Productions, a production company that produces and packages books/CD's, and mass marketing media projects that raise human awareness and planetary consciousness through the arts. A. Muse Productins launches and supports an advertising campaign for a new spa franchise called Harmony Happens. Dorothea of A. Muse Productions created the marriage of music and copy to promote Harmony Happens into a media T.V. and radio commercial marketing campaign and to promote other uses of the music for unique product promotion. - Duties: Conceived, produced, arranged and performed the 15, 30 and 60 second commercials and marketing concept. Harmony Happens when we come to you . . .
Bring the "The Dream Team" of licensed holistic professionals into the comfort of your home for skin and body therapies that nurture you to make Harmony Happen. "Songs & Stories of The Fairy Godmother" (Vol.1 & 2), & "Songs of The Fairy Godmother" created by Raylene Abbot. Dorothea's role: Guided the manifestation of the project; produced & arranged the underscore music & performed the sung vocal overdubs; coached artists' voiceover performances for storytelling; created a marketing plan & a product development section for buyers from the character-lineup of Raylene's channeled book for cross-marketing into TV, film, media, & doll and children's clothes design. A five book self-esteem children's series with music. Dorothea Joyce: project conceptualist, co-writer of the books, composer of songs & music. Bernie Zaccaro: co-writer/lyricist, & marketing development. A music production company for commercials: film scoring, songs/music publishing & records. Lincoln Center Group Concert: Songwriter & Performer. NYC. Commercial Instrumental release: Headstart Records, #6 Jazz charts. Duties: Co-writer/co-producer with Chris Howard and & Skylar. NYC. A commercial music production house for musical signatures for advertising, and songs for film, television, and radio. Duties: Contracted and produced recording sessions, wrote the songs & commercial music, negotiated contracts & fees, vocally performed the music, and contracted and cast singers. NYC. Time, People Magazine, Manhattan Hanover Trust Bank, Doritos, Beechnut Baby Food, Laire du Temps Perfume, among others. Duties: writer, singer, music producer, coordinator of sessions, contracted musicians, negotiated fees, strategized PR, wrote articles for magazines and newspapers, wrote/performed music. 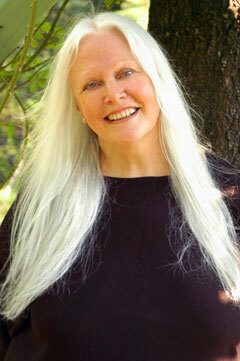 Dorothea Joyce: co-creator of the pilot concept and composer of the songs & music. Sheilah Rae: Co-creator of pilot concept and lyricist. for television and radio commercials. Hired by: MZH, Advertunes, No Soap Radio, & other independent music production companies. Accounts: Easy Off Oven Cleaner, L'aire Du Temps Perfume (Clio winner), Rolling Stone, The Kodak Disc Camera, Burger King, Club Med, McDonald's, Lipton Tea, Eastern Airlines, Champale, Hartz Mountain, and others. 3 year songwriting contract with CBS: April Blackwood Music Publishing Company. April Blackwood has merged with EMI Music Publishing Company (NYC, CA). Written by Dorothea Joyce. Recorded by The Fifth Dimension. Published by April-Blackwood Music Publishing (ASCAP), now EMI publishing. Lead Broadway Singing Role in a play. Performed with Robert Klein, Bette Midler, plus others. Music & Lyrics written and performed by Dorothea Joyce. Lead Singing Role in musical (Joseph Papp Public Theater). Organized celebrities to go into the New York City schools to lecture about career possibilities in the music business. 1991-1996: Elected to The Board of Governors. Invited music industry professionals as guest speakers, and to hear works of songwriters. Detroit, Michigan, BS in Music Education. New York, N.Y., M.A. Music Therapy, CMT. facilitated by Dr. Ibrahim Jaffe, M.D.,The School of Energy Mastery. Facilitator: Renound Sound Healer & author of The Mozart Effect, Don Campbell. Boulder, Colorado, Transformational Breathwork Facilitator. Facilitators: Drs. Tom & Caron Goode.